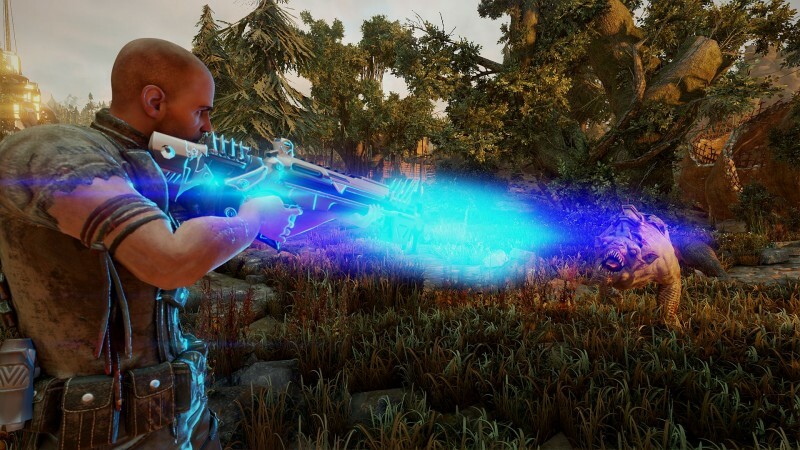 Elex is the new RPG from the makers of Gothic and Risen. It's also weird as heck. We recently got the chance to spend half an hour in developer Piranha Bytes' alluring combination of sci-fi and fantasy. Set in Magalan, a world ruined by a meteor, there are four tribes around the planet, each of them having their own unique traits. For example: the Albs of Xacor is a bloody clan that believes in sacrifice while the The Clerics Of Ignadon use futuristic weapons. It's a wide world and we had four save files that gave me experience with each of the different groups. In one file, I played a man armed with a bow and sword, going across a wild plain filled with dinosaurs and elk. In another, I was a rugged bandit with a rocket launcher and assault rifle stuffed in my inventory. Both experiences felt like they came from radically different games that happen to be stitched together. 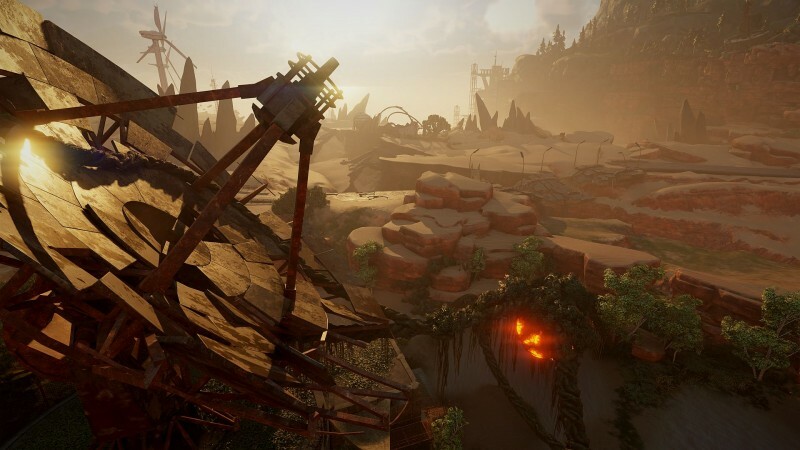 Despite Elex's fascinating world, a lot of it feels pretty generic. I fought raptors in the wild with a sword and took on bandits hiding in a shack with a shotgun as they charged at me with chainsaw blades. Combat felt clumsy, a matter of chipping off hit points off a bar, but occasionally I would fall into a sublime experience. Once during my demo I took a right, armed with my bow and arrow, and ran into a pack of giant robots. They made short work of me. In another, I destroyed a pack of feral wolf beasts with a couple of shots from my rocket launcher. It's in these moments that Elex feels special, but it's hard not to feel like this could just be a novelty that washes away in the full game. 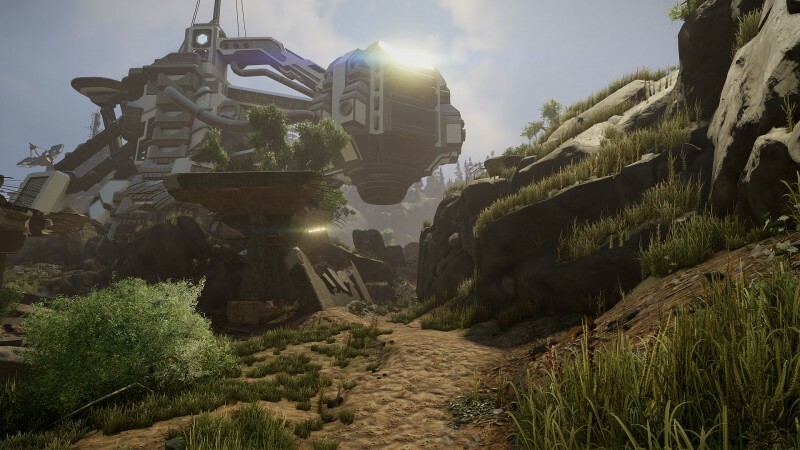 It's difficult to figure out just how Elex is shaping up. The game's ambitions are immense, but moment by moment it plays awkwardly, and I didn't get a sense of the story at all. 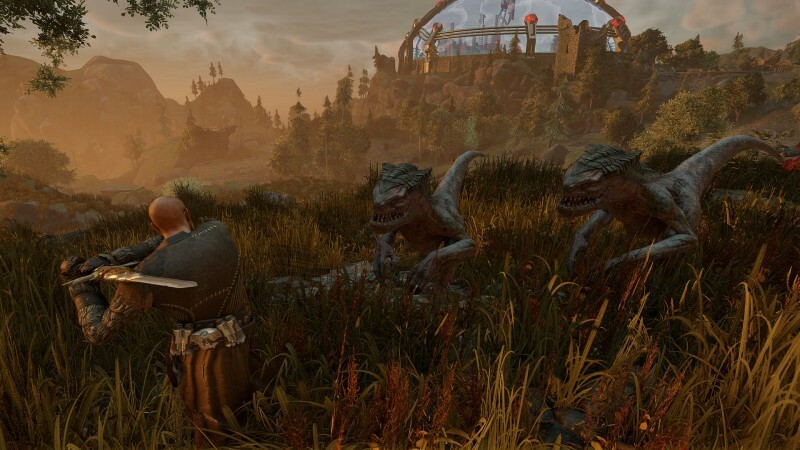 In a lot of ways, Elex is reminiscent of the odd charms of the first Witcher game. We'll be interested to see how the final version of the game turns out when it's released on October 17.